Akebia Decne., Compt. Rend. Hebd. Séances Acad. Sci. 5: 394. 1837. Type species: A. quinata (Thunb.) Decne. 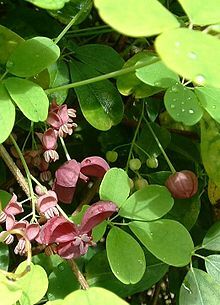 For more multimedia, look at Akebia on Wikimedia Commons. This page was last edited on 18 February 2019, at 16:45.